By Rachel Cohen, uOttawa BioBuddy Executive. 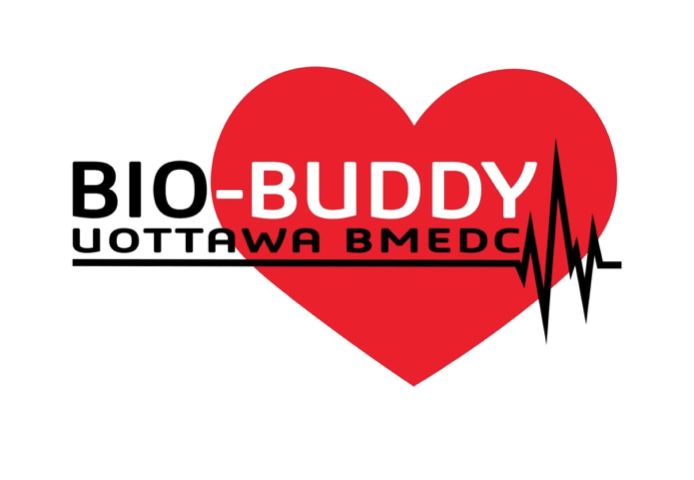 The uOttawa Bio-Buddy Competition is a multi-disciplinary student design competition hosted by the University of Ottawa. It is open to teams of undergraduate and graduate students from across Canada. The competition challenges students to design and build a CPR infant training manikin. Their devices must include a feedback feature to inform the trainee when they are pressing too hard or not hard enough. Right now, similar training devices cost around $1500-4000, which is NOT affordable, especially in developing countries. The student’s designs must be simple and affordable, with the goal of designing a product that is accessible and easy to build. This competition offers students valuable designing, building and debugging learning opportunities. It challenges them to think critically and create solutions for an open-ended, real-world problem. The skills students build will be essential to their future careers as engineers. This competition provides a valuable learning experience for students and increases the accessibility of high quality CPR training across the world! Currently, there are very few design competitions targeting the biomedical engineering field. This competition allows students to realize potential applications and future opportunities in the biomedical domain and sincerely see how their knowledge can benefit the field. The biomedical domain is relatively new and therefore has a lot of room for innovation, which participants will now be a part of. As a student, I have often found it difficult to bridge the gap between the theory learned in class and real world applications. This can be challenging as academic problems are often idealized and simplified. We wish to give students the opportunity to go beyond that. We often learn concepts in school and do not understand their purpose until we have the opportunity to apply them to a real world concept. I believe that one of the most beneficial aspects of our competition is that our participants can collaborate with workers in the industry. Not only do students get a chance to network, they also get valuable feedback on their designs. Customer validation is a key part of the process when designing a product, and it is sometimes overlooked by engineers, leading to products that do not help the end users. We are working with Saint John Ambulance, a CPR training company who will be helping our participants understand their current practices, challenges, and what’s in demand. I think design competitions offer valuable experiences for students. As a team of biomedical engineering students we hope to promote engineering in our field through this competition. We are incredibly excited to invite participants to collaborate, learn and showcase their designs. Thank you National Engineering Month!